OSSC is stands for “ Odisha Staff Selection Commission”. This department recruit candidates time to time in the various department under Government of Odisha. 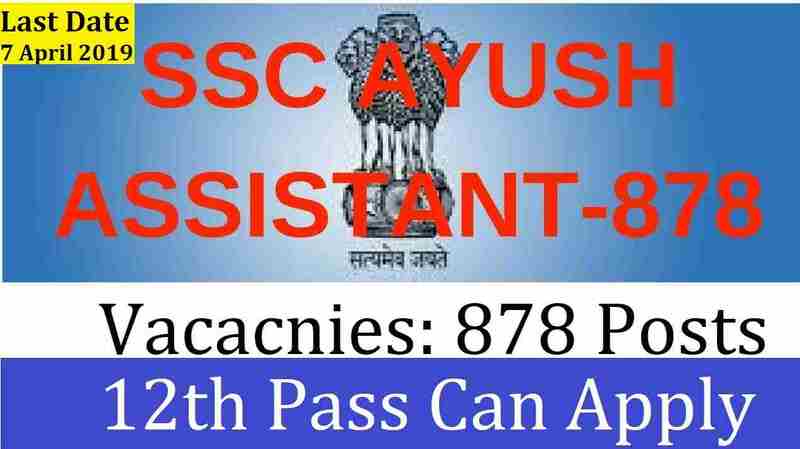 This time a fresh Notices is out from OSSC Recruitment department in which they said that they are looking for the fresher candidates for Ayurvedic Assistant and Homeopathic Assistants posts. 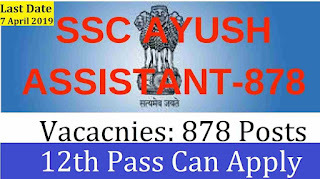 There are total 878 vacant positions for Assistant job profile which are going to be filled up after the completion of this OSSC Recruitment process. Those who are waiting for the Govt jobs in Odisha state this one is the great opportunity to them. 12TH Pass candidates are also eligible to apply this recruitment process. The process of applying these Government jobs in India is online. We share more information related to this OSSC Recruitment 2019 below in this job posting. Read it carefully before applying. All Indian 12th pass applicants in SCIENCE stream can apply for these posts. Applicants needs to pay this application fee through ONLINE as well as OFFLINE method. Both Methods are available for the payment of application fee. Procedure for Applying: Involved applicants have to apply Online through the official website whose link is as follow: “www.odishassc.in” starting soon. Selection Process: The selection of the applicants will be based on Written Exam. Those who will clear the written examination will be recruited as an Assistant in the various department of Odisha Government.